The tiny Chevrolet Trax crossover, earns an updating for the 2017 model year. Trax debuted as a 2015 model and is a close cousin to the Buick Encore, both built upon the foundation of the subcompact Sonic. 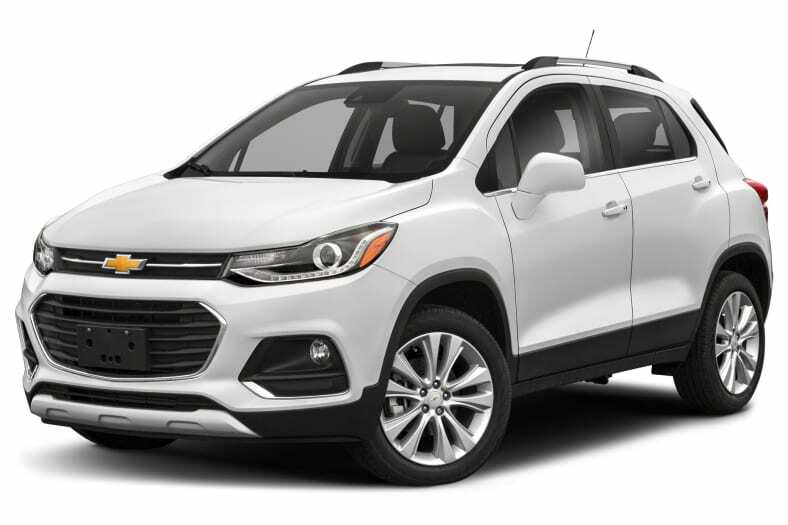 The front end of the 2017 Chevrolet Trax has adopted the appearance of other Chevrolet vehicles, and the interior has been updated, substituting a flowing dashboard with analog instruments for the previous motorcycle-inspired digital display. New safety features are available, too. Nothing has changed in the Trax's engineering, however. The Buick Encore costs more than the Chevrolet Trax, and offers more amenities as well as a more upscale appearance. Trax is the lowest-priced all-wheel-drive model offered by General Motors and is Chevrolet's smallest crossover. Nothing other than front doors are shared with the Buick Encore, and the design of the Trax is not as expressive as that of the Encore. Chevrolet stylists chose a safe course, emphasizing squarer body lines, in contrast to Buick's sweeping curves. Four adults actually fit into the Trax's versatile, spacious interior. A fifth can squeeze in, if all are on the small side. Performance is not a strong point. The turbocharged 1.4-liter four-cylinder engine produces 138 horsepower, along with 148 pound-feet of torque starting at a low 1850 rpm. The 6-speed automatic transmission has a wide gear-ratio range. Takeoffs are comparatively swift, and the deep-overdrive top gear delivers relaxed cruising, as well as satisfying fuel economy. In between, the Trax engine strains toward highway speeds, and passing or merging requires quite a bit of free space. Electric power steering responds well and ensures easy maneuverability. Ride/handling is typical for the Trax's class, meaning controlled and comfortable, if lacking in sportiness. Hard plastic components trim the cabin for an effect that looks practical and utilitarian. Contrast stitching is available for the dashboard, for a look that's more traditional tone. For 2017, Trax adds Apple Car Play and Android Auto compatibility to its MyLink infotainment system. Safety scores excel. Crash-testing by the National Highway Traffic Safety Administration resulted in a five-star overall rating. Trax rated Good in all tests performed by the Insurance Institute for Highway Safety, including the difficult small overlap frontal impact. Both the driver and front passenger get knee airbags. For 2017, Chevrolet offers blind-spot monitoring, rear cross-traffic alert, forward collision alert, and lane-departure warning.